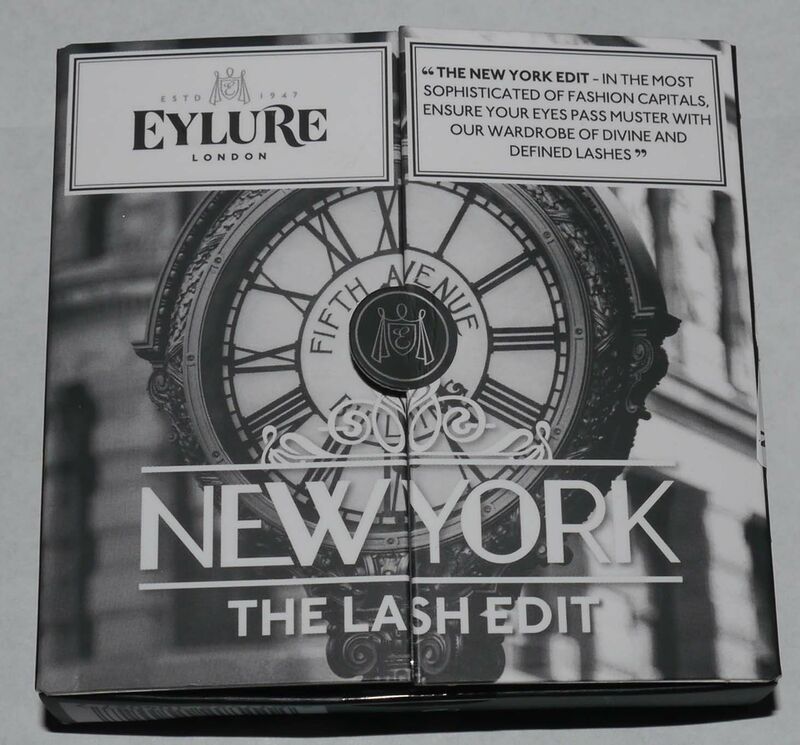 Eylure The Lash Edit (Lash Wardrobe) New York Set. In the most sophisticated of fashion capitals, ensure your lashes pass muster with our divine and defined wardrobe of lashes. Coordinate your lashes with different parts of New York. New York is all about being seen and Uptown you need a sweet and subtle style, try Lengthening No.114. The East Village has a hip vibe that Lengthening No.118 would be perfect for. Then finally, Volume No.107's film-star glam look is ideal for wherever in this amazing city the night takes you! 1) Lift the lashes from the tray with tweezers, applicator or your fingers (if they are glued across the lash, then ease them away from the half-moon using your thumbs in a downward motion, please do not pick off from the ends. 3) Apply a thin line of the Eylure Lashfix glue to the lash band. Wait about 20-30 seconds until it becomes tacky before applying (this is where most applications can go awry). 4) Apply with tweezers, applicator or your fingers (whichever feels natural to you). We believe a tweezers/applicator will give you a more precise placement. Place from the middle of the eye first then adjust the edges so they follow your natural lash line. 5) Press and hold for a few seconds.